will house the veteran Sderot Media Center and provide high-impact, unmediated hasbara to thousands of students, journalists, internationals, and VIPs like no other agency in Israel or abroad. The Center is set to open to the public in Summer 2019. Be a part of Israel’s hasbara revolution. Create Ambassadors for Israel’s security & image. 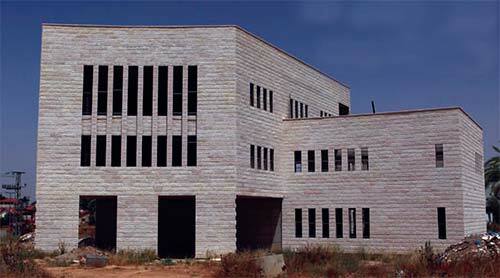 What is the Sderot Heritage Centre? From the time it was founded and even more so in recent years, the city of Sderot has become an icon of Zionist pioneering, fortitude and courage. Sderot has a stirring and vital story to tell of great national significance and has carved out a unique niche in the pantheon of Israel’s miraculous stories of renewal and redemption. Why is it important to establish a Heritage Centre in Sderot? The tourism aspect: Tens of thousands of visitors come to Sderot every year, even US presidents, in order to tap into the special spirit that flows through the streets of the city. There is no place in Sderot to serve them, no tourist attraction or tourism “anchor” to serve as the focal point of a visit to the area. The educational aspect: How does one cope with being under constant attack? Should one consider leaving? What resources, personal and community, can make it easier to weather the storm? Can one feel proud for being courageous? Self-sacrifice for the good of the country is not to be taken for granted. The Sderot Heritage Centre will be a place where these ideals and traditions are showcased and imparted to future generations. Ground floor: Lobby and auditorium depicting the western Negev, past and present, by means of interactive touchscreens and a documentary film showing the dilemmas faced by the Sderot residents as reflected in the reactions of a brother and sister to the missile attacks. Architect’s rendition of the ground-floor exhibit. First floor: The different faces of bravery demonstrated by means of a series of niches telling stories of bravery in various situations, and a multimedia presentation of Jewish bravery throughout the generations. Second floor: Classrooms and information centre. Roof floor: Observation platform, including a model of the western Negev and a Qassam Wall. The story of Sderot’s courage in the face of persistent rocket attacks, as well as the story of Jewish fortitude throughout the ages will be conveyed to visitors who come to commune with the quiet and natural courage of the residents who stand up to barrages of missile attacks, and inspire them to rediscover these same strengths within themselves. Your donation of $1,100,000 will enable us to complete the construction of the Sderot Heritage Centre, and to attract many thousands of visitors to this very special place, which, through circumstance has come to symbolize Israel’s steadfastness in the face of threats to its existence and disruption of its citizens’ daily lives. Every dollar you contribute will help to perpetuate the courage displayed by Sderot residents, and provide inspiration for the younger generation. In recognition of your generous contribution, you will be honoured by naming the Heritage Centre according to your wishes. 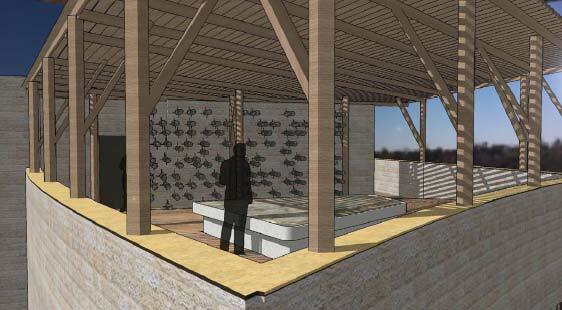 Smaller segments of the projects, such as classrooms and exhibits, will be offered to other donors for dedication.